Rabbi of the latter part of the sixteenth century; died at Constantinople. 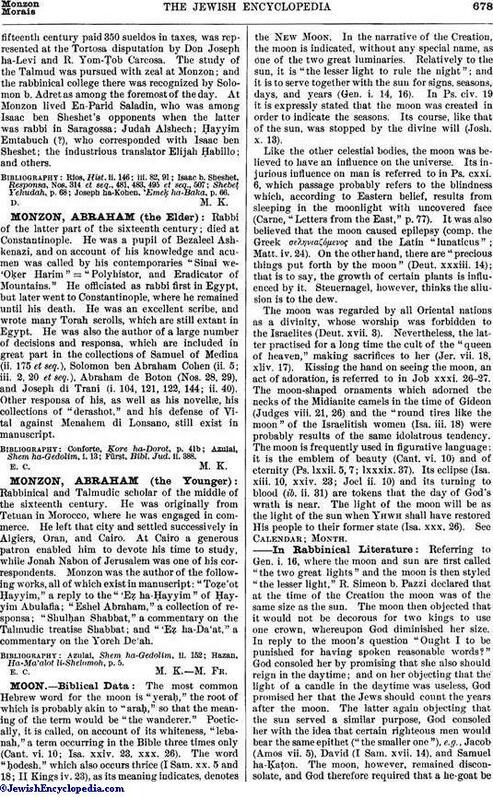 He was a pupil of Bezaleel Ashkenazi, and on account of his knowledge and acumen was called by his contemporaries "Sinai we'Oḳer Harim" = "Polyhistor, and Eradicator of Mountains." He officiated as rabbi first in Egypt, but later went to Constantinople, where he remained until his death. He was an excellent scribe, and wrote many Torah scrolls, which are still extant in Egypt. He was also the author of a large number of decisions and responsa, which are included in great part in the collections of Samuel of Medina (ii. 175 et seq. ), Solomon ben Abraham Cohen (ii. 5; iii. 2, 20 et seq. ), Abraham de Boton (Nos. 28, 29), and Joseph di Trani (i. 104, 121, 122, 144; ii. 40). Other responsa of his, as well as his novellæ, his collections of "derashot," and his defense of Vital against Menahem di Lonsano, still exist in manuscript. Fürst, Bibl. Jud. ii. 388.